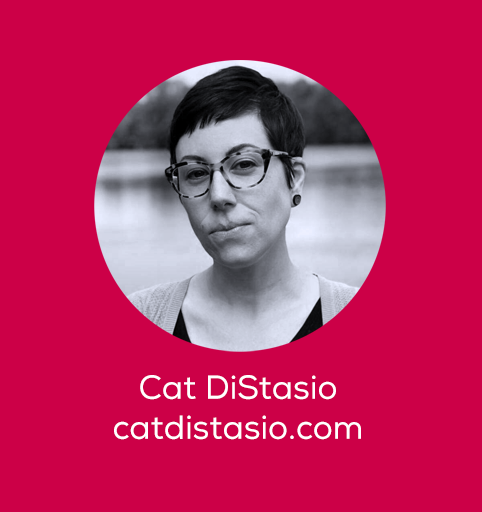 Cat DiStasio is a writer and researcher who provides virtual support for high-earning writers, authors, and technologists. With a background in human resources and tech, Cat is all about creative problem solving — for inboxes and beyond. She offers her go-to email tips and riffs on weak subject lines. How do you tackle email on a daily basis? Walk us through your routine. I try to be as mindful about my email use as I’ve become about my social media use. When I’m not checking my email, I close the browser tab, and I don’t use push notifications on my phone. When I check my email (a few times each work day), I try to be efficient about sorting and managing the new messages so I can clear out any distractions or items that don’t need immediate attention, and keep things organized. What are some of your favorite tools or extensions? I use the heck out of Gmail features like Snooze and Labels, and I also use Gmail aliases (email addresses with “+label” where ‘label’ is whatever you want) for subscriptions, purchases, and other accounts, so that I can filter those messages so they don’t clutter up my inbox. I also have filters set up for emails that come in routinely, such as bills from vendors or invoices from subcontractors. Using filters to control the flow of the emails makes it easier for me to batch tasks throughout my week, so it saves me a lot of time. What are your tips for how busy freelancers can better control their inboxes? Organization is key. This means being organized about how you use your email address (see above suggestions about alias emails, filters, and labels) as well as how you access your email. 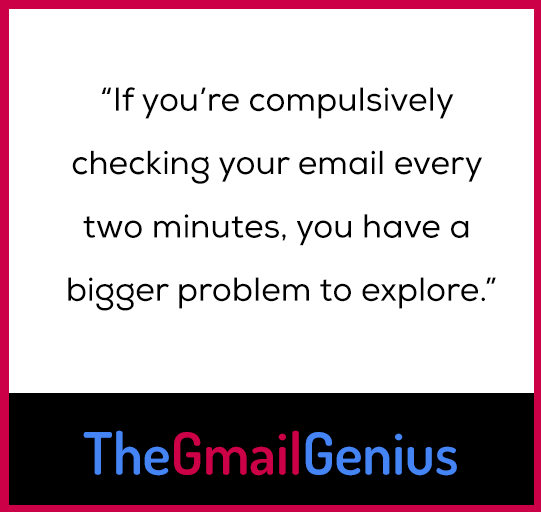 If you’re compulsively checking your email every 2 minutes, you have a bigger problem to explore. The more intentional you can be about your email, the more in control you’ll feel – because you’ll actually have more control. Many people get overwhelmed by email because they are working reactively, doing the digital equivalent of “working out of the inbox.” When you break that cycle, you can stop hating your email. What’s your email pet peeve? This is less of a peeve than a suggestion, but I wish more people would use descriptive subject lines. Rather than “Here’s the file,” I want to get an email that says “Here’s the brief for the article on freelancer emails.” I’m sure I have hundreds of emails with a subject line that reads “For this week” with no indication of what it is. It all flows smoothly when the email comes in, but months later when I need to dig back and find that email – perhaps because I’m working on something similar – I often lose a lot of valuable time trying to locate the message or conversation I want.